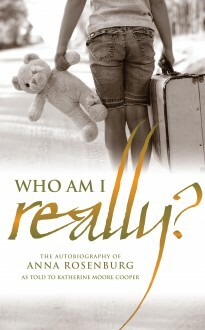 Our self-published books: Who am I Really? Until she was seven years old, Anna Rosenburg was happy. She lived a simple life in a two-room flat with her devoted father. In Anna’s world, there was very little to worry about – until a wealthy, high-minded ‘pillar of society’ across the road decided that it really wasn’t right for a little girl to be brought up by a poor father on his own. Telling Anna that they were going for a drive in the country, she took her away to live in a children’s home. The devastation of this betrayal and the loss of regular contact with her father destroyed Anna’s young world. Her unhappiness was compounded by her confusion over her own identity. What did her black skin mean? Why wasn’t it the same colour as her father’s? Where did she come from? Who was she really?